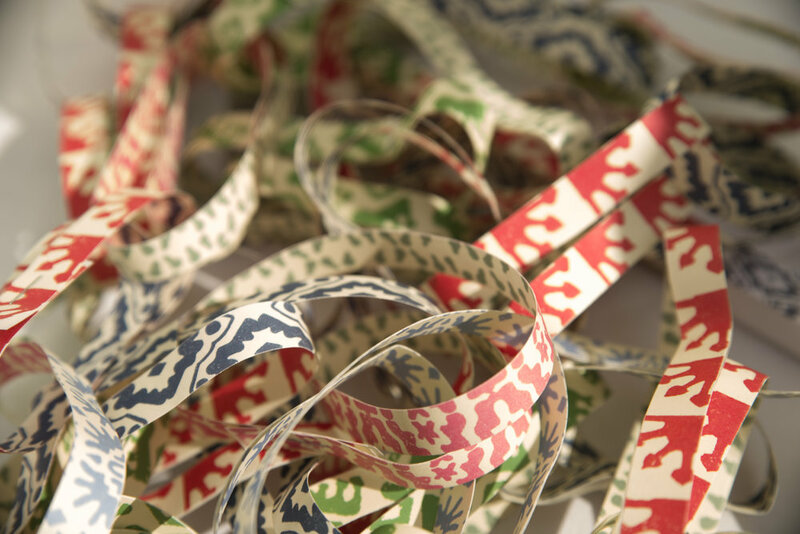 Skinny Chain is a double looped beauty that makes both fabulously festive paper chains. The Skinny Chain is a double looped beauty, easy to put together, children and adults can have fun playing with the different combinations they can make with our prints. 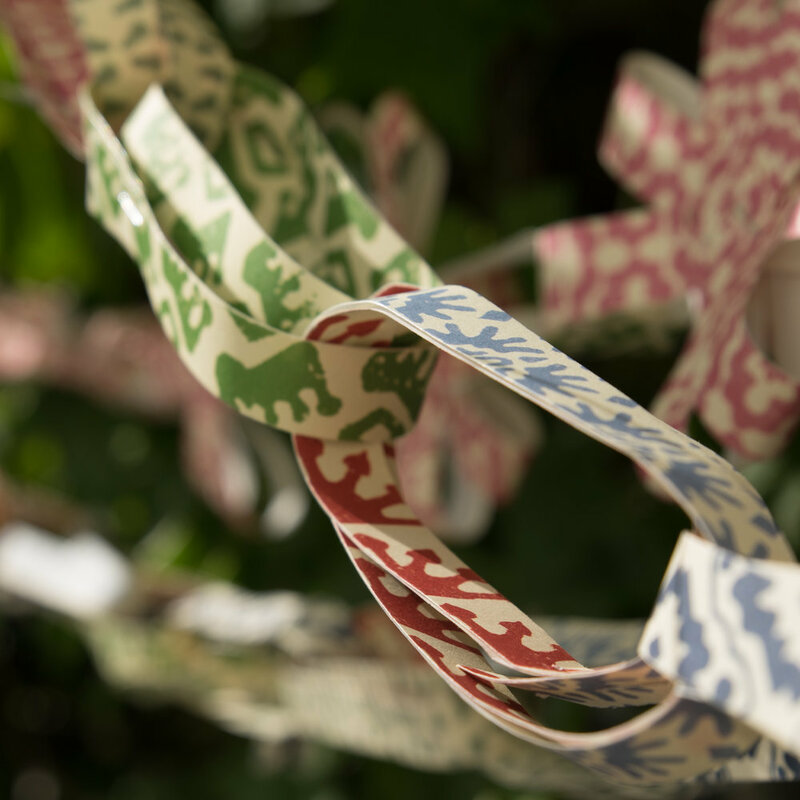 With its skinnier profile , double loop and mixed patterns we give the traditional paper chain a little more sophistication and fun. Your order contains two generous Skinny packs providing enough strips to make 9 meters of festive chain. A mixed colour way twin pack incorporating our five bright designs that gives a modern and sophisticated edge.